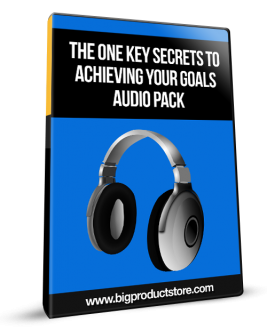 Discover the One Key Secret to Achieving Your Goals! Do you ever feel like you keep trying to achieve your goals, but time and time again, you fail miserably? Or do you struggle with knowing what to focus on to get your goals accomplished? I'll reveal the one key secret to Goal Achievement in your business, your health, and even your life, how you can implement this one key secret immediately and immediately begin to master Goal Achievement with both your little goals and your Big Goals!